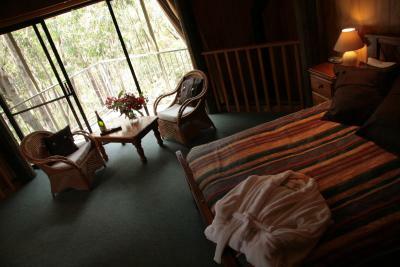 Lock in a great price for Jemby Rinjah EcoLodge – rated 8.8 by recent guests! Stunning property - a real retreat. Would definately come back. Loved the fireplace and wildlife. 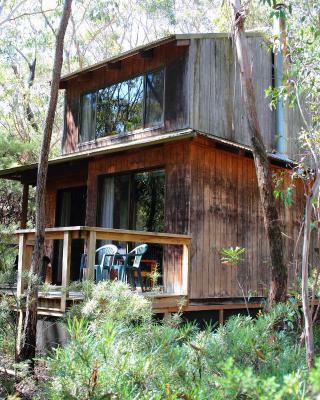 In walking distance of hikes. 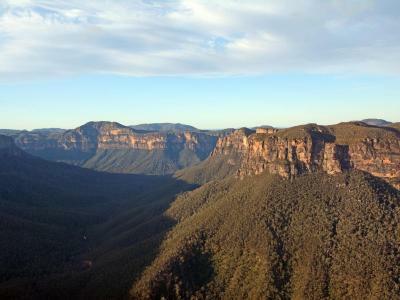 A beautiful, tranquil part of the world...nature at its best! Loved the Bush. The wood burner brought back memories of home. It pumped out the heat. The open fire place was excellent. 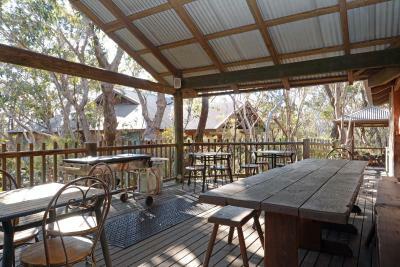 Great customer service and fantastic location surrounded by bushland. Loved being surrounded by gum trees. Parrot feeding was also highlight. Such a tranquil trip! 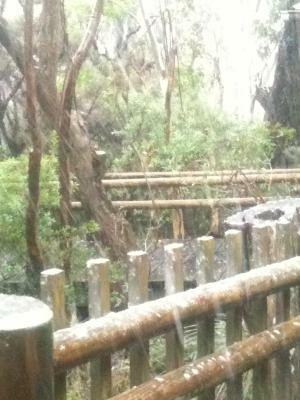 Beautiful setting in the rain forest. Bird feeding was great! 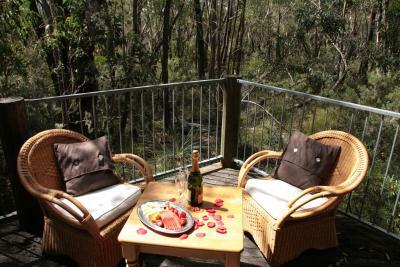 The peaceful bushland setting, balcony where parrots come, cabin itself perfectly equipped and clean, staff very helpful and friendly. 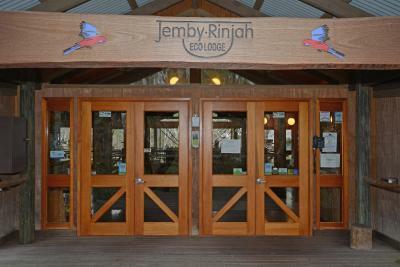 Jemby Rinjah EcoLodge This rating is a reflection of how the property compares to the industry standard when it comes to price, facilities and services available. It's based on a self-evaluation by the property. Use this rating to help choose your stay! 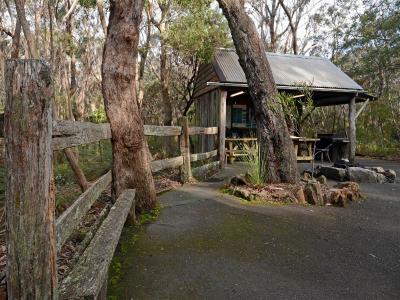 Surrounded by the Blue Mountains National Park, the Jemby Rinjah EcoLodge features cabins with full kitchen, lounge and dining areas. Free parking and free Wi-Fi are provided. 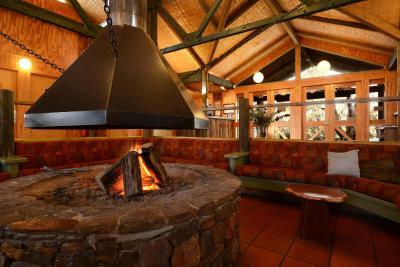 Each cabin at the Jemby-Rinjah Eco Lodge includes a slow combustion wood heater in the lounge area and luxurious feather comforters on each bed. 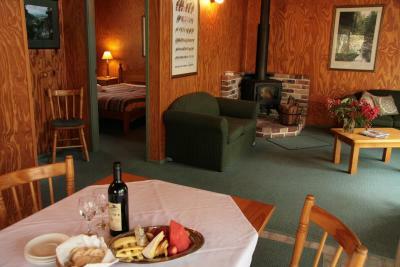 Each cabin is very private and surrounded by native landscapes. 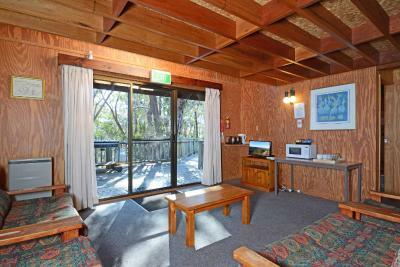 Guests have access to barbecue facilities and an outdoor sitting area. 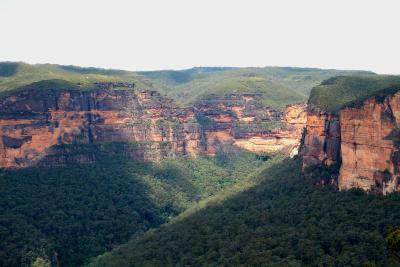 The Three Sisters are just 9 miles from Jemby Rinjah Ecolodge. 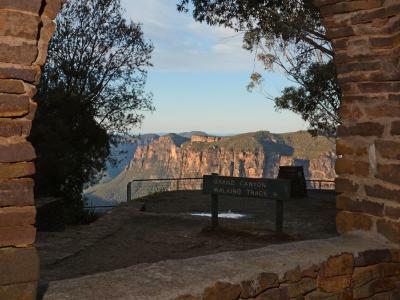 It is a 15-minute drive to the center of Katoomba. 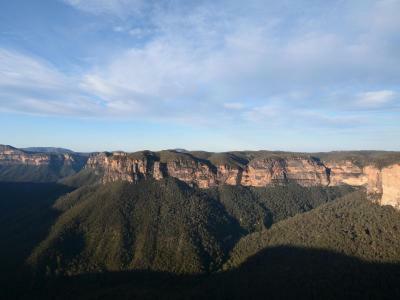 Local activities include rock climbing, rappelling, caving, canyoning and four-wheel-drive tours. This property also has one of the top-rated locations in Blackheath! Guests are happier about it compared to other properties in the area. 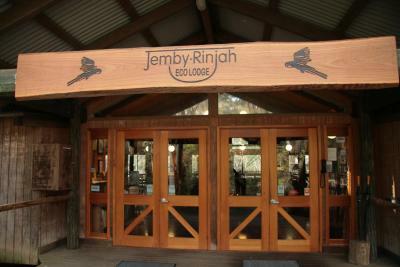 When would you like to stay at Jemby Rinjah EcoLodge? This villa features a large lounge and dining area with a TV and kitchen facilities. This room does not have capacity for extra guests. Self-contained villa features a fireplace, lounge and dining area, kitchen facilities and balcony with views of the native Australian landscape. Please note the rate is based on 4 guests. Maximum occupancy is 6 guests (see hotel policies). This secluded villa has a balcony, dining area and spa bath. This bed in dormitory has access to 2 shared bathrooms. It also has access to a common lounge area with large glass doors opening onto a private veranda, overlooking the bush land. This villa features a balcony, dining area and toaster. This quadruple room features a balcony, kitchenette and fireplace. 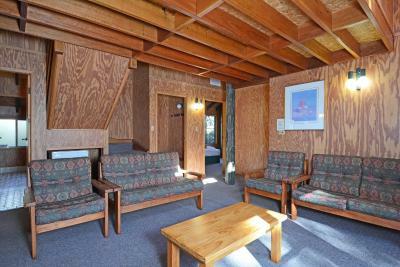 This chalet features a patio, toaster and seating area. 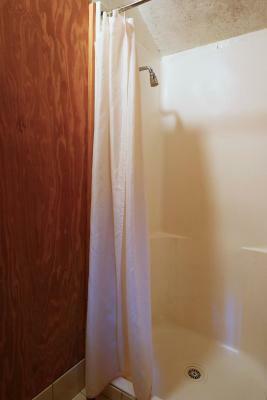 House Rules Jemby Rinjah EcoLodge takes special requests – add in the next step! Jemby Rinjah EcoLodge accepts these cards and reserves the right to temporarily hold an amount prior to arrival. Please note that a nonrefundable 3% surcharge applies for payments with American Express credit cards. 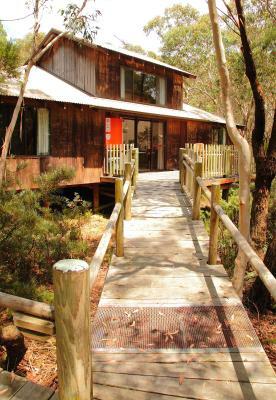 If you expect to arrive outside reception opening hours, please inform Jemby Rinjah EcoLodge in advance, using the contact details found on the booking confirmation. Guests arriving after 15:00 will be sent key collection instructions. 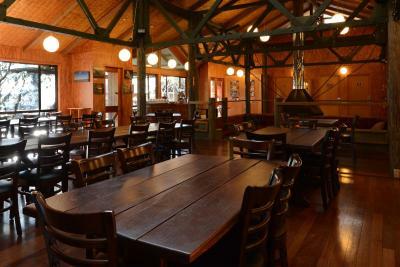 Please note that the restaurant caters for groups of 15 or more. Bookings need to be arranged, prior to arrival. Please inform Jemby Rinjah EcoLodge of your expected arrival time in advance. You can use the Special Requests box when booking, or contact the property directly using the contact details in your confirmation. The small spa bath is not comfortably big enough for 2 people. The deck it's placed in is big enough for a larger spa so why not? Power cut soon after arrival but after reception closed at 3pm meant no way of contacting anyone as there was intercom rather than phone no. And this too had gone with the power. Would have been an issue if an emergency had occurred, but we managed ok. Perhaps a phone no. Could also be given. Some rather noisy neighbours in next cabin. Fridge was a bit warm and a lot of our food spoiled. Staff not always available. Furniture has seen better days. Lounge seating only for 5 guests although bedding for 6. Would be more comfortable if they replaced both 2 seater sofas with 3 seater sofas. 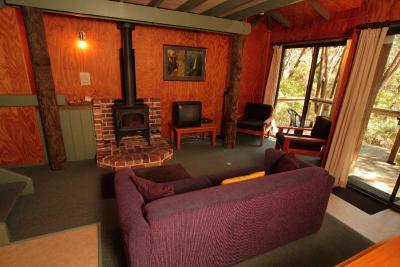 Great location, simple and cosy accommodation, fire was stoked and heating on arrival, bathroom was small but modern and clean. Kitchen was well equipped. 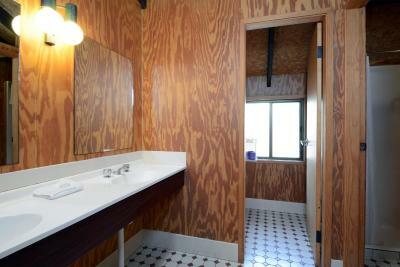 Easy parking and walking distance to lookout and walking trails. The communal area is not always accessible The cabins have not been updated in 30 years but are still comfortable I think it’s overpriced for what you get. The fire was lit for us before we arrived at night. 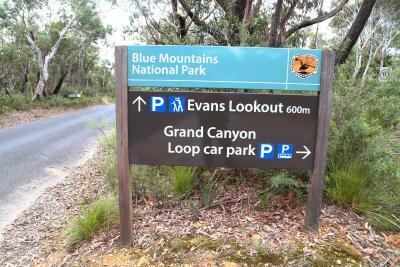 Fabulous location, close to Evans Lookout and the Grand Canyon walk. Really cosy cabin. Lovely time with Rosellas and King Parrots that eat seed from your hand. 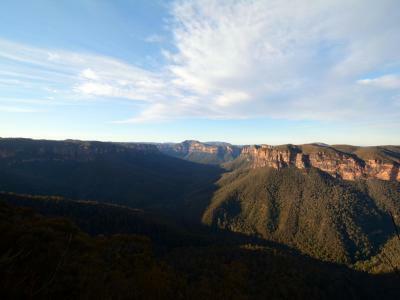 Easy drive to nearby Katoomba.